Thank you for visiting our website. At Toye Tree Removal, our philosophy is simple; to provide Fast Quality Service Every Time! We know that in order to be successful in business, it takes a combination of services, competitive pricing and dedication by all employees to excel in customer service. We encourage you to look around our site and see what we have to offer. We specialize in Tree Service, Precision Blasting, Lot Clearing, Road Building, Landscaping, Excavating & more... If you don’t see what you are looking for, call us at 705-457-7570 and we will be happy to discuss your needs. Thank you for visiting Toye Tree Removal. 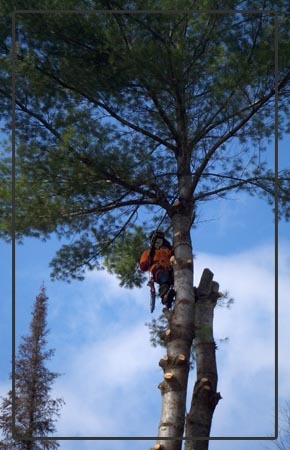 Our staff are highly trained and experienced when it comes to Haliburton Tree Removal. Visit us again at toyetreeremoval.ca if you are in need of Haliburton Tree Removal. Toye Tree Removal is here to help! Our team of experienced professionals are experts in what they do and know how to effectively apply their skills, workmanship and customer service excellence to assist you with your needs.